Toronto's first sanctioned, permanent supervised injection site officially opened its doors at The Works at 277 Victoria St. on Wednesday. First of three permanent safe-injection sites is located at The Works at 277 Victoria St.
Toronto's first sanctioned, permanent supervised injection site officially opened its doors on Wednesday. The site, located inside The Works at 277 Victoria St., will provide "a safe and hygienic environment for people to inject pre-obtained drugs under the supervision of qualified staff," according to a city news release. In response to an increase in overdoses this year, Toronto Public Health first opened an interim service at its offices on Aug. 21 while work was completed on the permanent space. Since the interim service opened, the site logged more than 800 visits and staff intervened in 10 overdoses, according to the release. "Drug overdose is a significant public health issue with devastating impacts for many," Dr. Eileen de Villa, Toronto's Medical Officer of Health, said in the release. "Today marks an important milestone for our city towards addressing this very serious public health crisis affecting so many in our community." The site is part of the city's Overdose Action Plan, which the Board of Health adopted last March. But it was back in July 2016 that council approved applications for small-scale supervised injection services at The Works, as well as at Parkdale Queen West Community Health Centre and South Riverdale Community Health Centre. 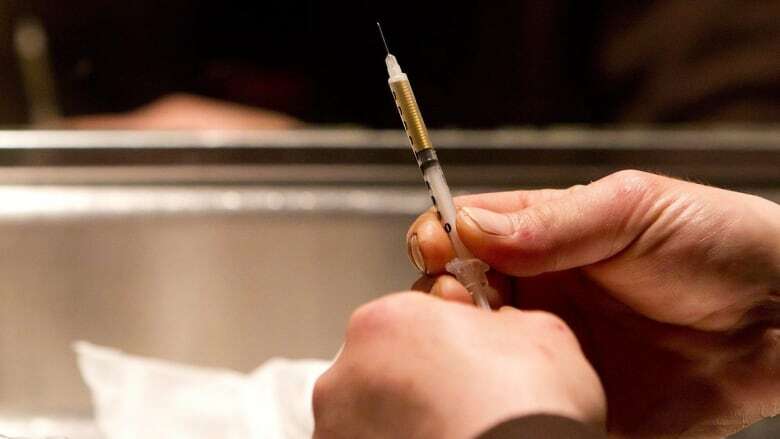 The facilities operate three of the city's busiest needle distribution programs, according to the release, among other harm-reduction services. "Too many people are dying at alarming rates in our city due to overdose. The most recent local data estimates show the number of opioid deaths in Toronto increased by 33 per cent in one year alone," Coun. Joe Mihevc (Ward 21 St. Paul's), Chair of the Board of Health, said in the release. In response to the growing opioid overdose problem in the city, activists opened an unsanctioned overdose prevention tent in Moss Park. Earlier this month, the province stepped in with a new heated, military-grade tent that was supposed to help keep the site open as the weather turns colder. However, volunteers learned over the weekend that it doesn't meet Ontario's safety requirements because open flames used to heat drugs presented a fire hazard. On Tuesday, the province, the Toronto Fire Service and volunteers reached a solution that calls for open flames to be kept away from combustible material, so the tent can remain open. Meanwhile, there are two other sanctioned permanent sites set to open in the city this fall, and the city is asking Health Canada to approve a fourth supervised injection site in downtown Toronto. The indoor site would be at the Fred Victor Centre, just across the street from Moss Park. Mihevc said earlier this month that he's hopeful Ottawa will move quickly to grant the necessary exemption from federal drug rules that would pave the way for the Fred Victor site, although he wouldn't say how long that might take. In the release from the city Wednesday, Mihevc said he looks forward "to working with other orders of government to open future supervised injection locations in the community."